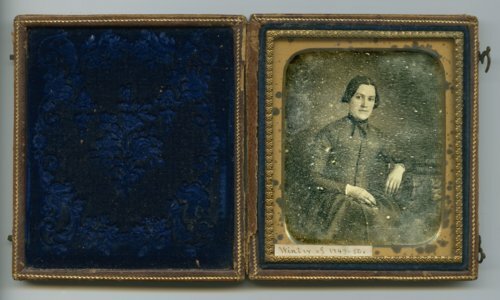 These are two daguerreotypes of Jerusha Webster Lord Burritt. Jerusha was the wife of Rev. Charles David Burritt and the mother of Mary Lord Burritt Foster. She died in 1854.